Did you know that Quebec is one of the few places in the world that does animal traceability? We are proud to be a major player in this successful endeavor! 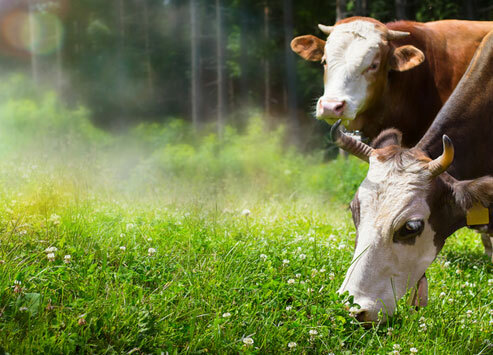 Animal traceability in the world is one of the main objectives that various global organizations responsible for animal health and infectious diseases are seeking to achieve. In Canada, the federal government is in the process of putting in place legislation forcing the provinces to implement animal traceability within their territories. Currently, the only Canadian province to have a fully functional traceability program, which includes each level of intervention: producer, transporter, point of sale (auction, feedlot, sorting centers) as well as in slaughterhouses, is Quebec. Référence Systèmes has designed and operationalizes Fast Auction, a livestock management software which incidentally, is already established and functional in all Quebec sales barns. It stands out as an industry leader for animal movement not only in Quebec but also in Ontario, Manitoba, Alberta, New Brunswick and Nova Scotia. In addition, in 2015 we set up our system in the state of Michigan, USA. In 2014, with the acquisition of Syscan-ID, Référence Systèmes intensified its leadership in animal traceability. Today called Syscan-RS, this company is a leader in the industry for RFID readers intended for animals. These readers are distributed worldwide and are a benchmark for quality and performance in the traceability industry. Quebec traceability technology stands out worldwide!